These daring constructions illustrate that the added expense and effort of building at radical angles might just be worth it. 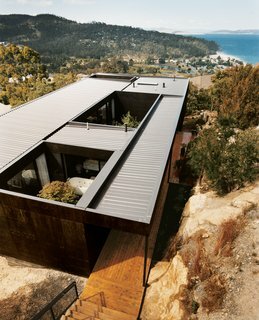 This house in Sausalito by 450 Architects hugs a tight hillside plot that affords a gorgeous view of Richardson Bay. 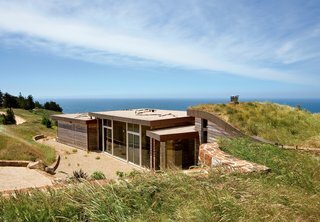 "I’ve been all around the world, and whenever I come back here, I realize that the Pacific Ocean seen from those cliffs is the most beautiful view on earth," says the resident of this house built into a hillside in Big Sur, California. 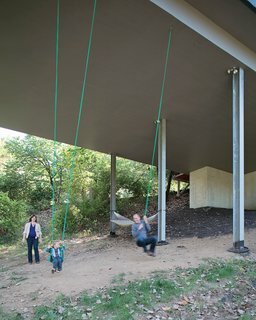 Julie, James, and Christian enjoy an unexpected bonus of living in a house on stilts that has a pair of swings suspended from the base of the structure. The family often goes for walks on the property, looking for wildlife and playing in the tepee they built in a secluded space in the woods. A supposedly impossible site was the perfect plot for Hale (pictured) and Edmonds, who were searching for some sort of break that would afford them the chance to build their own home. 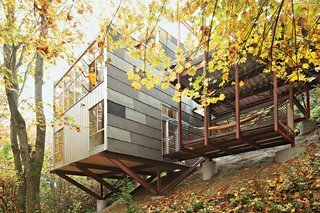 Cantilevering the house over the steep hill gives them direct access to nature while still being located just a 10 minutes by car from downtown Seattle. Aside from its dramatic appearance, this home's subterranean construction comes with an energy efficiency advantage: the surrounding soil is a constant 67 degrees, thereby helping to keep the interiors comfy year-round. 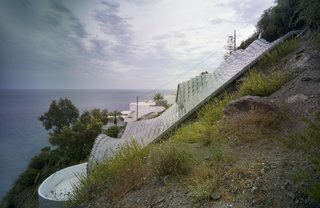 The Kingston house remains unobtrusive and well camouflaged on its hillside site, despite the architects’ use of modernist geometry. The outer cladding is simply plywood that's stained with dark Madison oil. 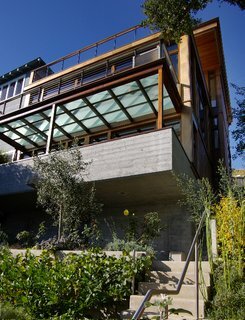 The Hillside Residence by Scott Lee of SB Architects in conjunction with Arcanum Architecture is in Mill Valley, California. 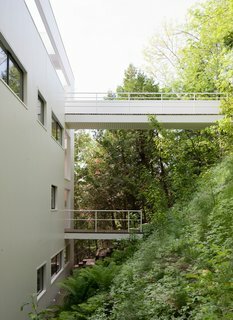 There are two walkways that extend over this sloping hillside. The top-most walkway is the intended entrance. 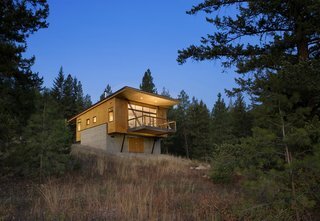 While it was tempting to embed the cabin into the hillside, Balance Associates sought a smarter solution. By elevating the project on two concrete walls, the clients could avoid a costly foundation, improve their view of the landscape, and remain above the thick winter snowfall. 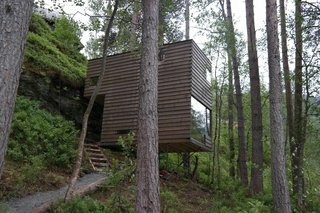 The cabins by Jensen & Skodvin Architects are built on a steep hillside. They're held aloft by narrow steel rods and clad in a lumber that's stained to blend into the natural surroundings.